NOTE: This is archived committee information from the 75th Legislative Session. There are no audio/video archives available online for the 75th session. 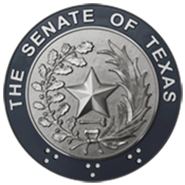 Monitor the implementation of the provisions of HB 2577, passed by the Legislature during the 1997 regular session, regarding affordable housing for Texans, and, if necessary, make recommendations for further legislative or regulatory action. Assess the Texas Department of Housing and Community Affairs' and the Texas State Affordable Housing Corporation's effectiveness in serving individuals and families of low and very low income and families of moderate income. Study the operation and administration of the Texas State Affordable Housing Corporation's mortgage banking activities and lending transactions, and consider whether further legislative action is needed.